Heat Resistant Plaster is a replacement material for gypsum plaster where the temperatures are too high for gypsum plaster to stay on the wall. Heat Resistant Plaster is a fully blended fine powdered material which is mixed with water to a trowellable/ floating consistency. 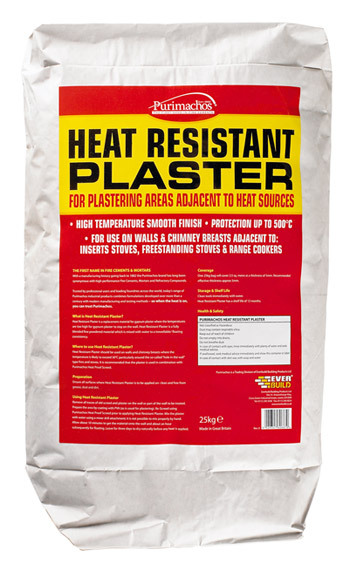 Heat Resistant Plaster should be used on walls and chimney breasts where the temperature is likely to exceed 50°C particularly around the so-called “hole in the wall” type fires and stoves. It is recommended that the plaster is used in combination with Heat Proof Screed.